The identification of trends is one of the most common goals in environmental studies. However, quantifying trends and associated uncertainties from a finite amount of data is generally a challenging task. Trend assessment is often hindered by the short length of the available datasets, magnified by the role of time as an implicit variable in the case of time series. Furthermore, long-term variability can take many forms, from situations of no trend, with apparent trend features being explained by purely stochastic variations and long-term memory, to classical linear deterministic trends and even nonlinear variability due to external drivers. The distinction between the different possible models is not straightforward, but it is crucial to obtain more accurate estimates of trends and corresponding uncertainties. Specific methodological approaches for trend assessment have been put forward, particularly in the statistical and econometric literature, but often remain out of reach for practical studies and environmental applications. On the other hand, environmental time series exhibit specific features and pose characteristic methodological challenges that are of interest for time series analysis and statistical applications. 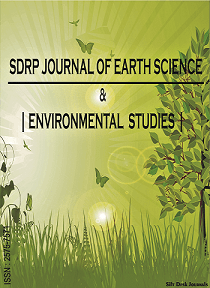 This Research Topic aims to bridge the gap between methodological developments in trend estimation and time series analysis, and the specific environmental fields of application of trend assessment including climate, atmospheric, soil, hydrological and ecological studies. Methodological approaches to be covered include time series regression, long-term memory and scaling, nonlinear and quantile regression, and multivariate trend estimation. Multidisciplinary contributions combining trend assessment methodologies and environmental case studies and applications are particularly welcome.